-- Please Select --XS 32" - 34" S 36" - 38" M 40" - 42" L 44" - 46" XL 48"- 50" XXL 52" - 54"
The threat of attack and physical violence to frontline staff such as security staff, military personnel, customs and immigration officers, police and law enforcement officers, surveillance and intelligence officers and close protection officers has never been greater. The Fortis Vest reduces the risk of personal injury through its high level of protection, lightweight and easy to wear design. All Fortis Vests carry UK Home Office and United States National Institute of Justice (NIJ) certification. The armour is manufactured in an ISO 9001:2000 accredited factory. The Fortis Stab Vest has been certified by the Home Office to as compliant with their stab and spike test standard KR1 + SP1. It will protect against stab, spike and also hypodermic needle threats. -KR1 means Knife Resistance Level 1. SP1 means Spike Resistance Level 1. (There is no Home Office standard for needle, but our vest gives protection from needles nevertheless). -KR1 is the level of protection recommended by the Home Office for general policing duties. 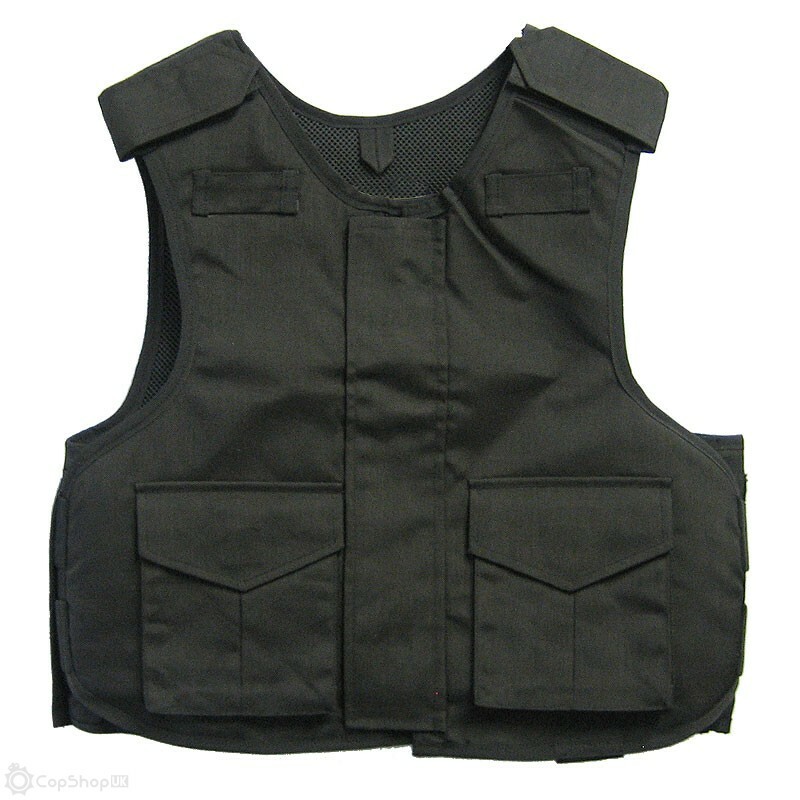 The vast majority of police on duty in the UK wear KR1 level vests. -Fortis Stab Vest customers include local councils, hospitals, environmental teams, ASBO teams, traffic wardens, and security officers. We are also a major supplier to UK police forces, the MoD and other governmental organisations and public bodies. The material is an advanced composite of ultra-high-tensile fibres and thermoplastic resin that has outstanding toughness and durability. The method of manufacture of the composite is heat-compaction. The resulting composite is covered by a worldwide patent. The composite is a thin flexible sheet material of impregnated textile, supplied as a raw material to manufacturers of body armour. The material is cut into pattern shapes and assembled in pluralities of layers in an outer cover with adjustable shoulder and waist fastenings and worn as a body armour ‘vest’. The wearing of any body armour cannot be described as comfortable. In order to minimise heat retention and improve overall wearability, the Fortis armour design incorporates a number of key features. The carriers comprise a technical wicking mesh and spacer fabric. This spacer fabric has been specially selected to optimise and increase the air flow between the skin and the body armour and therefore transport heat and sweat away from the wearer. (d) Notification of the full details of any claim and return of any faulty Product within 1 month of the fault occurring. Deterioration due to damage to the Products through trauma is excluded from the Warranty. Vests can be manufactured to exact specifications, sizes, & protection levels. Please phone 01843 825757 or email info@copshopuk.com for more details. Orders received before 3PM are despatched same day, to all UK destinations, BFPO and International addresses. We treat ALL orders as priority, so no need to pay extra for a quick service! Unlike other retailers in our sector there are NO restocking charges or 2nd postage charges to pay. * Postage discounts may be available for higher value/low weight orders that fall into higher postage brackets (particularly for outlying areas). Contact our sales office for details.